I Have today uploaded an album under Galleries- Military Interest Sites – Military Interest – General, that has a mix of military interest images extracted from other albums. Most of the sites would be “lost” in the general galleries and for this reason accumulated into one album. Other composite galleries can be found in the military interest section. 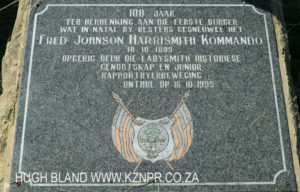 For example you will find in this album the monument to Fred Johnson of the Harrismith Commando who was the first Burgher to die in the Boer War on 18 October 1899. 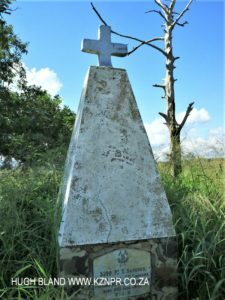 Another example is the Monument to Hand De Lange (Hans Don), who is also buried near Besters. 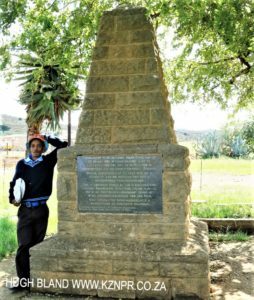 He was executed by the British on 26 March 1861 related to the death of a black man. 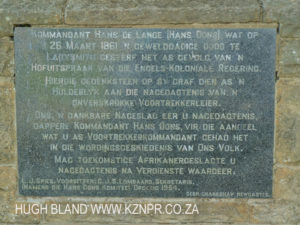 Hans Don was one of the original Vootrekker leaders held in high esteem by the Boers. 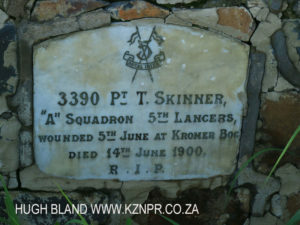 Yet another example is the lonely grave of Private T Skinner of the 5th Hussars who died in 1900 and is buried alone alongside the Natal – OFS rail Line near Besters. 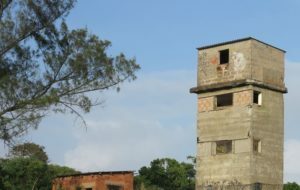 Another example is the WWII gun Battery Towers in Durban North near Virginia.